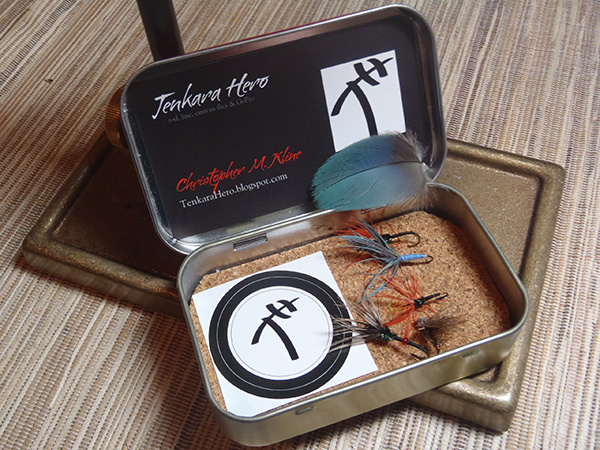 To me, tenkara anglers are an intrinsically “outside the box” breed. We don’t fish with reels, we reject the prevailing notion that more gear catches more fish, and lets’s face it, our flies look…well…strange. Even stranger are the materials we experiment with. 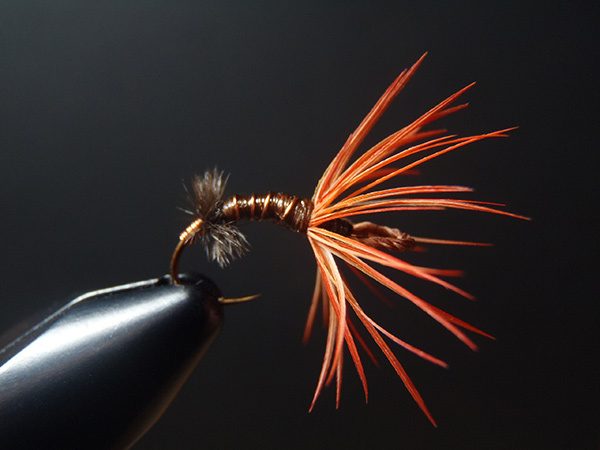 I’ve seen tenkara flies tied with everything from snakeskin to fuzz from a fern (and even junk just laying around the house). I think it’s fair to say that I’ve seen far more unconventional materials used in tenkara flies than in mainstream fly fishing (which tends to stick to what’s hanging on the fly shop pegboard). I don’t have a parrot (too messy and noisy for me) plus, I don’t want one to repeat some of the choice utterances that come out of my mouth sometimes in front of my daughter, but if anyone out there does have one and wants to do some kind of trade for feathers, I’d love to experiment more with them. 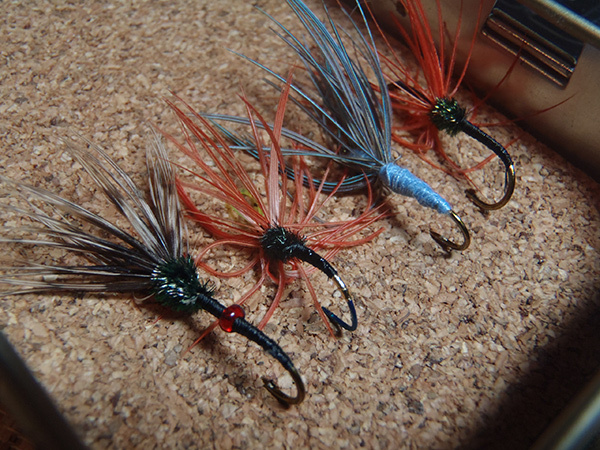 I think there’s lots of potential for creating unique flies using non-traditional materials like this. Also, I’d like to try some muppet fur so if you’ve got a pelt you’d be willing to snip off a swatch of, please email me. Those are beautiful! Nice work Chris and thanks for sharing Jason. 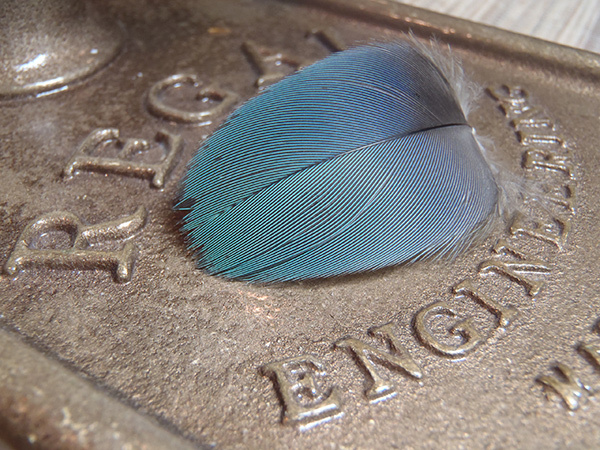 I noticed when i scrolled down the full blue feather appeared to ((( vibrate )))! Frank Sawyer’s Killer Bug was made from copper wire from old electrical gear and knitting wool. Just started Tenkara …..hmm I have lots of parrot feathers from my fids ( feathered kids) …but mainly blue and green ….do those colors work? Hi Jan, sure! I think any color would work and you could get really creative.